My friend Jackie Sayles is passionate about serving God. Her life took an unexpected turn a few years ago when she ventured to Central America on a mission trip. Little did she realize how that trip would alter the course of her life and lead her to make some life-changing decisions. Today, Jackie serves as a missionary and fundraiser for City of Hope Orphanage in Honduras. I always enjoy seeing and visiting with Jackie, however briefly, because her joy is both refreshing and contagious. Her decision to serve the Lord has redefined the geography of her life and set her on an amazing adventure. 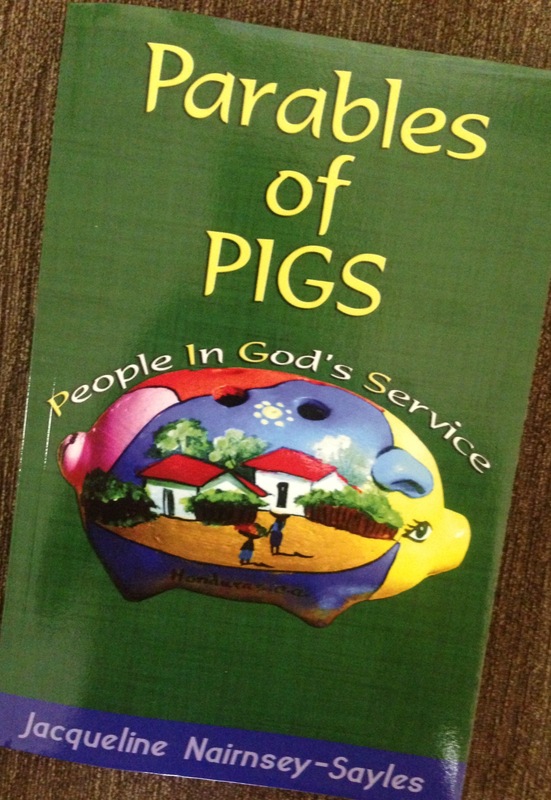 Jackie recently wrote a book entitled “Parables of PIGS” — an acronym for People In God’s Service. The stories that she has written will make you smile, cause you to reflect, and hopefully inspire you to find your place in God’s story. Through her stories, Jackie encourages us to play an active role in God’s story — the divine narrative about bringing glory to God among the nations. Her modern-day parables illustrate how our own lives can be interwoven with the grander story of God’s love and pursuit of His creation. I was privileged to write the Forward to Jackie’s book and also to write one of the chapters. I encourage you to buy a copy of Jackie’s book — available in hard copy or on Kindle on Amazon. The proceeds from the sale of her book benefit City of Hope Orphanage in Honduras. You can learn more about City of Hope Orphanage by visiting their website. Hi there Omar… Of course I simply loved the Go Beyond today… Thank you so, so much. Love your story and your book, Jackie. Thanks for inviting me to have a part in your story. I am a huge fan of Jackie Sayles and have been inspired by her devotion to Papa God for years. What a woman of faith and action! I’m so happy that you’re pointing new readers to her wise words. Grateful for Jackie and her good work for the kingdom. Thanks for taking a moment to share a good word about her.